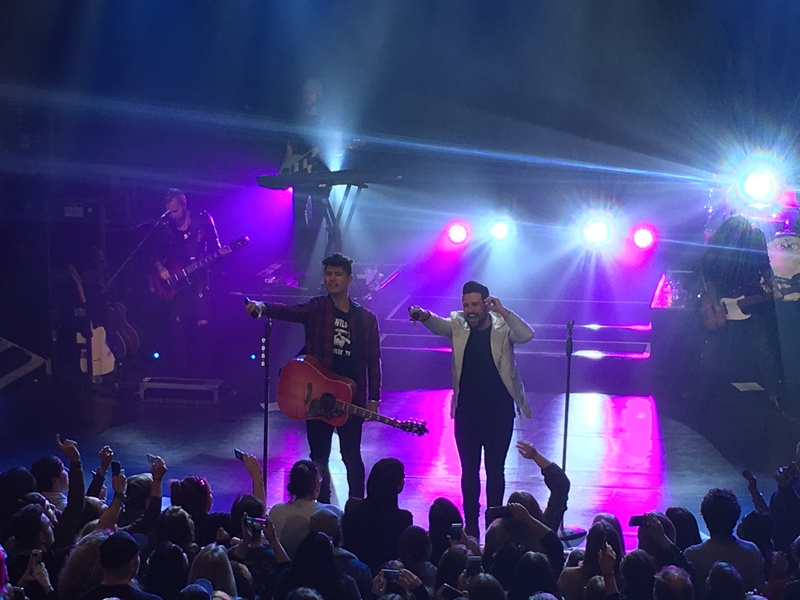 It was clear from Dan+Shay’s epic entry to Rhianna’s All of the Light’s that we were in for an absolutely fantastic ride on Tuesday night at KOKO. As well as a stellar entry, the Nashville team bought enough energy to fill an arena – and kept this up – throughout their set. The audience matched, then surpassed, this screaming and jumping along to the first track from 2016 album Obsessed, All Nighter which was the perfect song choice to start the night. Nothing Like You gave the duo the opportunity to display their incredible stage presence and sounded even better than the album recording – yet another country music band proving it’s the best genre for live performance. Along with playing all the hits, Dan + Shay did a number of covers which really got the crowd singing. These included Bon Jovi’s You Give Love a Bad Name, which gave the band a chance to show their talents and party classic Mr Brightside by The Killers. When the band played Road Trippin’ not a single hand wasn’t in the air and the energy in the room was insane. As they played Show You Off, from first album Where It All Began, I couldn’t help but think ‘you don’t get this level of commitment at any other concert’. The teamwork between Dan Smyers and Shay Mooney was a joy to watch. With Dan charming the crowd like a pro and Shay belting out the strong vocals they glided through their musical catalogue. The highlight of the night had to be the truly magical performance of From The Ground Up. 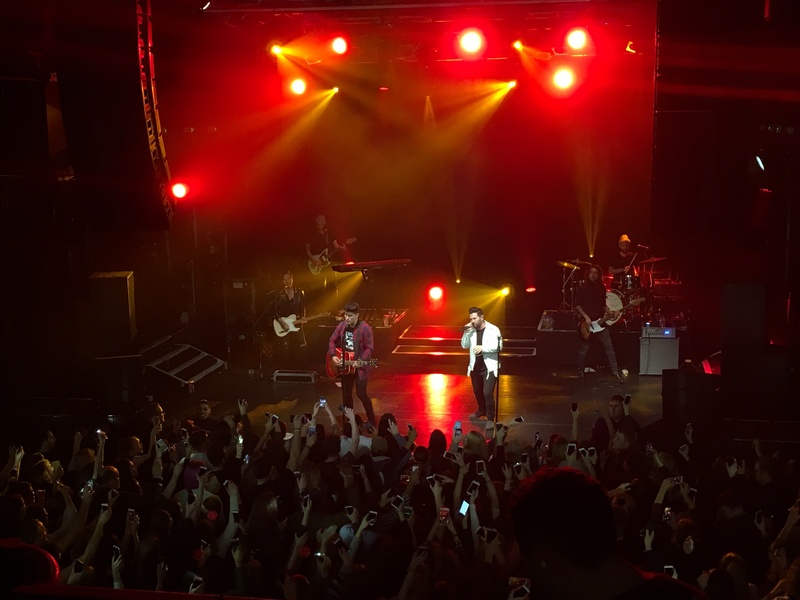 There was tears both on and off stage as the crowd became overwhelmed at the touching lyrics and the band at the love for them in the venue. Remaining grateful and humble, the boys even gave a shoutout to opening act Catherine McGrath saying: “when you’re selling out arenas can we open for you?” which certainly got a cheer from all her fans. This gratitude continued through Lipstick as the band explained how, although this track was never a single, it was absolutely incredible for them that the audience still knew all know words. Another show-stopping moment came in a display of friendship between the two leading men. Dan took a moment to declare best friend Shay “hands down the best singer in country music” and describe himself as “such a fan”. As Shay sang a few lines from Obsessed, and Dan played the simple acoustic riff, it was undeniable that those vocals are insane and quite possibly the best in the genre. 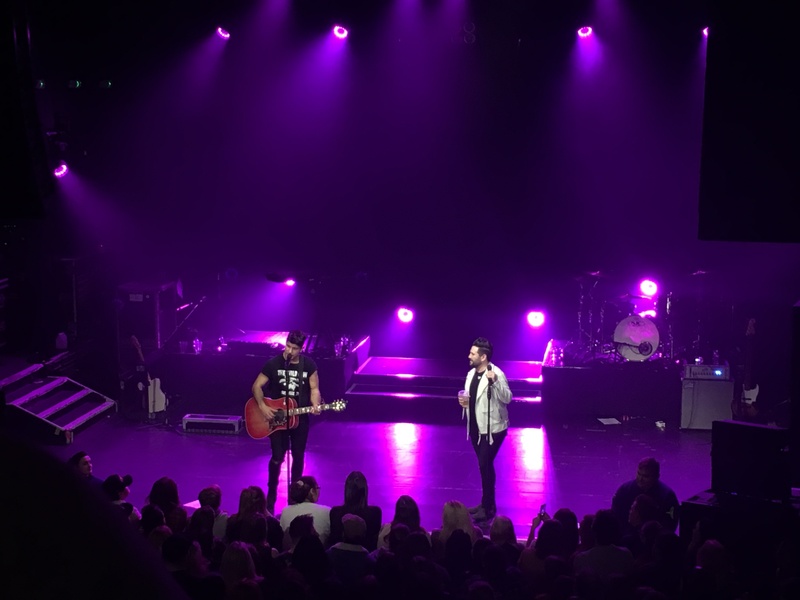 Towards the end of the night Dan + Shay played “the song that changed everything for us” – 19 You + Me and left the English audience with the promise of returning in 2018.